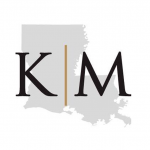 With more than 150 attorneys, Kean Miller is one of the largest full-service law firms in Louisiana, and the largest in the Capital Region. The firm serves the legal needs of the people, businesses, and industries that drive the Bayou State. It has particular dedication to serving Fortune 1000 companies with significant operations in the Gulf South, providing them with legal resources focused on growth. From the courtroom to the boardroom, the firm and its people provide creative solutions, unique strategies, and unparalleled value that allow clients to perform at the highest level. Kean Miller combines the talents and expertise of its attorneys into multi-disciplinary client and industry teams. These teams are comprised of seasoned attorneys and professionals from a variety of disciplines who are equipped to identify the legal and business needs of the client. Kean Miller teams develop superior service strategies to provide unmatched support to the client. Kean Miller assists clients in a variety of service areas, including business litigation, construction, environmental regulation, permitting, class action defense, banking and finance, admiralty and maritime, products liability, business transactions, mergers and acquisitions, real estate, intellectual property, patents and patent infringement, chemical exposure litigation, toxic tort defense, oil and gas, health law, medical malpractice defense, bankruptcy and reorganization, utilities regulation, labor and employment, state and local tax, legislative and administrative lobbying, estate planning, probate, municipal finance, and insurance coverage and recovery. Whether helping clients defend lawsuits, raise capital, comply with regulatory requirements, enter new markets, obtain or defend intellectual property rights, develop and distribute products and services, or acquire or divest businesses, Kean Miller and their people understand it is the client’s goals that are paramount. Kean Miller has a particular dedication to working closely with Louisiana-based businesses and Fortune 1000 companies with significant operations in the Bayou State – ensuring that they have the people and resources required to grow into leaders in the region. Kean Miller’s 33-year history is one of lasting alliances with its clients. These partnerships are based on value, service, and unique Louisiana know-how. The firm diligently pursues results that allow its clients to outperform their competitors.